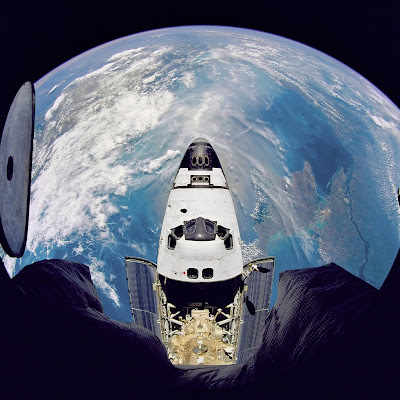 "NANOTECH: Nanotube Memories Enable Smarter Electronics in Space"
NASA demonstrates that nanotube memory chips are impervious to the extreme environment and lethal hazards of space during a recent shuttle mission. Look for commercial versions of rad-hard Nantero memory chips within three years. R.C.J. NASA demonstrates that nanotube memory chips--NRAMS--are impervious to the extreme environment and lethal hazards of space during a recent shuttle mission. Lockheed Martin and NASA reported this month that they successfully tested Nantero's nanotube-based memory chips on the Space Shuttle Atlantis while it serviced the Hubble Space Telescope earlier this year. Nanotube memory chips--NRAMs--store information by virtue of tiny mechanical switches that are immune to the heat, cold, cosmic rays, hard radiation and every other hazard from which conventional semiconductors must be protected in space, according to their inventors, Nantero. "AlGORITHMS: IBM achieves accurate brain simulation"
Neural networks were once heralded as the future of computers, because of their ability to learn rather than require manual programming. However it was quickly discovered that application-specific designs would not yield general purpose solutions. 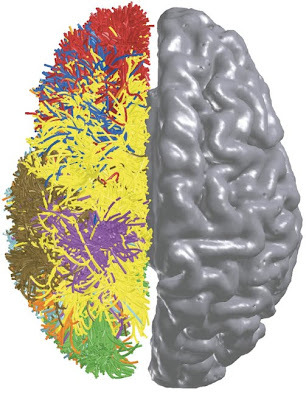 Now IBM is aiming to solve that problem by emulating widely available magnetic resonance diffusion weighted imaging data (shown by colors in photo). Look for brain-accurate simulations to spawn a new era of cognitive computers within 10 years. R.C.J. IBM claims to have succeeded in creating a supercomputer simulation of the human brain capable of sensation, perception, action, interaction and cognition. So far it can only emulate the number of neurons and synapses in a cat's brain—1 billion spiking neurons and 10 trillion individual learning synapses— but then again the project has only been underway for one year. IBM's paper on the project, called "The Cat is Out of the Bag" was awarded the Association for Computing Machinery (ACM) Gordon Bell Prize at the recent Supercomputer 2009 conference. "ENERGY: Osmotic power generators harvest energy from sea"
Running desalination plants in reverse in order to produce electricity, rather than cleanse salt from water, was made possible by the invention of the pressure exchanger by Energy Recovery Inc. Look for osmotic energy generating plant to begin popping up on coastlines worldwide over the next few years. R.C.J. Energy Recovery Inc. has re-engineered its pressure exchangers, which enable fresh water to be derived from salt water worldwide in desalination plants, to run in reverse systems that generated power from mixing fresh- with salt-water. The first pilot plant, constructed by Norwegian-government owned renewable-energy company Statkraft is up and running. If successful, Statkraft plans to replicate its plants across the globe potentially generating enough energy to satisfy up to 50 percent of Europe's needs. "ENERGY: Osmotic Power Plants Could Be Installed on Every Stream Dumping into Ocean"
Osmotic power plants could be installed on every rive flowing into the ocean, according to the Norwegian government renewable energy company Statkraft. Energy Recovery (makers of the pressure exchanger that makes osmotic power economical) claims that existing desalination plants could retrofit osmotic power generators to greatly lower the cost of making fresh water from salt water, by recovering power from its output stream to the sea (which is twice as salty as sea water since the potable water had been removed). But using osmotic power on regular rivers, where they dump into the ocean, could cover half of Europe's electricity needs if all the available streams were included. I'm not sure of the cost of building these plants, but it sounds promising. What do you think? Join the conversation by clicking the link below to leave a comment. "ENERGY: World's First Osmotic Power Plant Yields 24/7 Renewable Energy"
Unlike solar, wind, wave and other sources of renewable energy, osmotic power plants harness a source of energy that is constantly available--fresh water streams running into the sea--thereby enabling sustainable, renewable power plants that produce constant, uniform electricity, all day, every day. Look for osmotic power plant to begin popping up along shorelines worldwide over the next decade. R.C.J. The world's first osmotic power plant officially opened today in Tofte, Norway, providing sustainable, renewable electricity generation 24/7. Unlike solar, wind, wave and other sources of renewable energy, osmotic power plants harness a source of energy that is constantly available--fresh water streams running into the sea--thereby enabling sustainable, renewable power plants that produce constant, uniform electricity, all day, every day. Osmotic power generation harnesses the chemical energy locked in the gradient between salt water and fresh water by using an osmosis process. 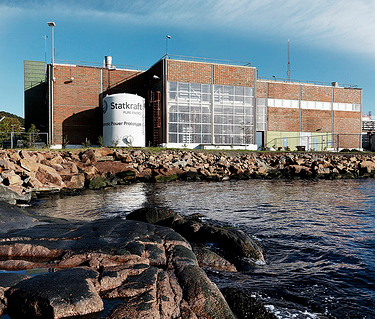 This pilot plant was designed by Statkraft (Oslo) to produce 10 kWatts of energy, but the Norwegian renewable energy company plans to expand that to a full-scale osmotic power plant capable of producing continuous 25 megawatts. 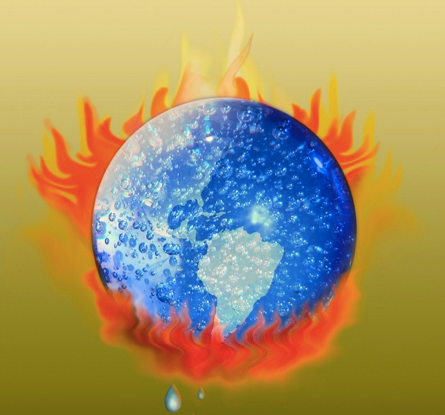 "GREEN: Global Warming is Irreversible?" Global warming is irreversible, unless the world economy collapses or society builds the equivalent of one new nuclear power plant each day, according to Tim Garrett, an associate professor of atmospheric sciences at the University of Utah who will publish a new study later this week in Climate Change magazine. Now we have Al Gore saying we still have time to reverse global warming. The hackers who revealed scientists' private emails (see above) say there is no problem to begin with. And now the University of Utah says all is lost, climate change is inevitable. Who is right? Click the link below to add your voice to the commentary. "GREEN: Hackers Break into Climate Change Center"
Hackers recently broke into a British climate change research center and posted hundreds of emails from scientists claiming that global warming is real, according to an AP report. 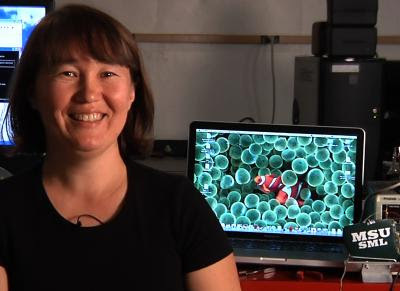 One email referred to a "trick" used in Nature magazine to make the data more damaging. Over the week end, authors of the stolen emails responded that their comments were taken out of context--and that "trick" just meant "a clever thing to do." Look for a lively debate on the subject next month at the U.N. Climate Change Conference in Copenhagen (Dec. 7-18, 2009). What do you think? 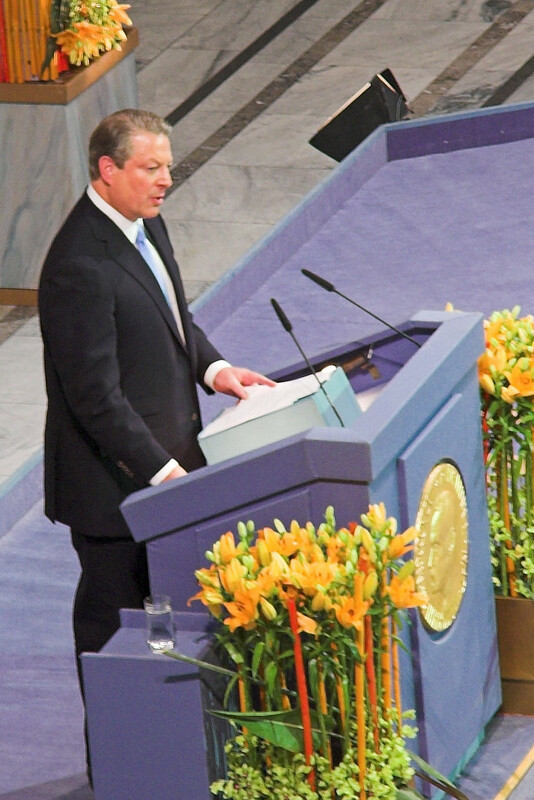 Do these emails damage Gore's claim that global warming has been proven "unequivocally"? Click the link to add you thoughts to the commentary. 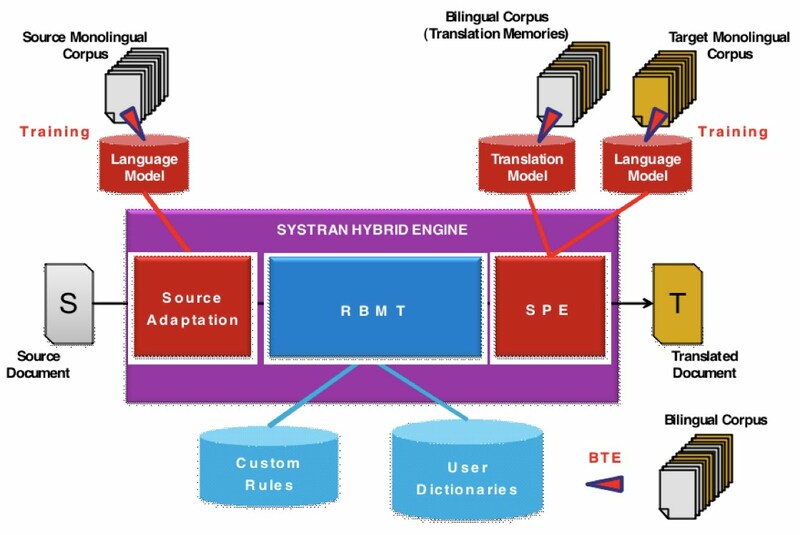 "ALGORITHMS: Hybrid Systems Offer Smarter Machine Translation Among Languages"
The White House earmarked $1 billion in economic stimulus funds for American innovation programs, and issued a "Grand Challenge" in seven areas, one of which was to improve machine translation algorithms that automatically translate between languages. Look for machine translation to start using speech input and output, rather than just written text like today, within five years. R.C.J. Traditional rule-based machine translation among languages has been merged with newer statistical learning methods to create hybrid machine translation algorithms that are more accurate than either method alone. 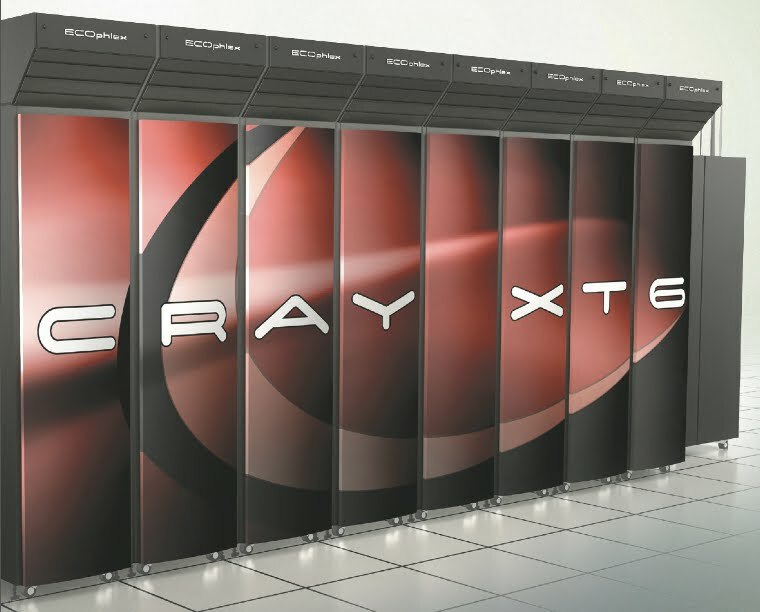 "ALGORITHMS: Supercomputers Could Reverse Global Warming: Gore"
"ALGORITHMS: Cray Wins World's Fastest Supercomputer Award"
Cray, once synonymous with "supercomputer," has finally edged out the competition and for the first time won the world's fastest supercomputer award from Top500.org. Look for Cray to increase its market share in the next few years. R.C.J. Cray's XT5 supercomputer at Oak Ridge National Laboratory has claimed the "world's fastest supercomputer" crown from IBM's Roadrunner, according to the Top500 list announced at Supercomputer 2009 (Nov. 14-19, 2009, Portland, Ore.) For the last two years, IBM's Roadrunner supercomputer has edged out Cray on the Top500 list, but this year Cray's XT5 finally beat Roadrunner with a 1.75 petaflop/second performance speed running the Linpack benchmark (compared to 1.1 petaflop for Roadrunner). The Top500 list reported that Jaguar has a theoretical peak capability to 2.3 petaflop/second. 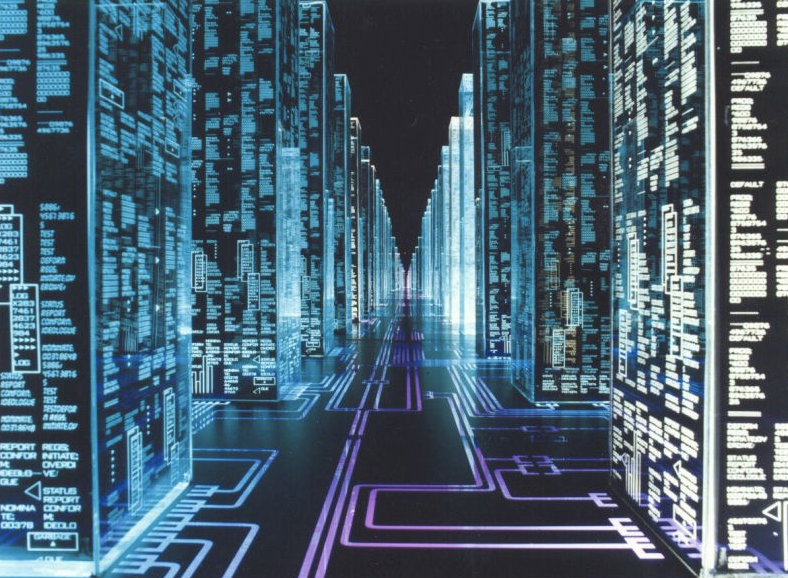 "ALGORITHMS: 3D Virtual Worlds Becoming 'Killer App' for Supercomputers"
Virtual worlds like Second Life are becoming the killer app for supercomputers. Look for 3D Web applications to reinvigorate the supercomputer industry over the next decade. R.C.J. 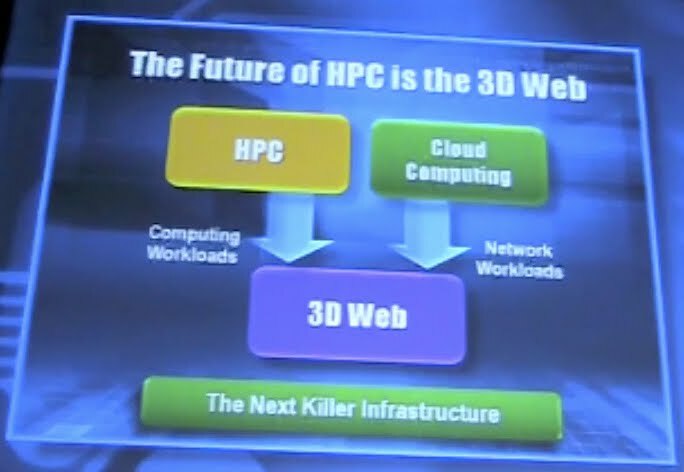 The future of high-performance computing is the 3D Web, claims Intel CTO Justin Rattner, since it exploits the three reasons supercomputers are faster than normal computers. 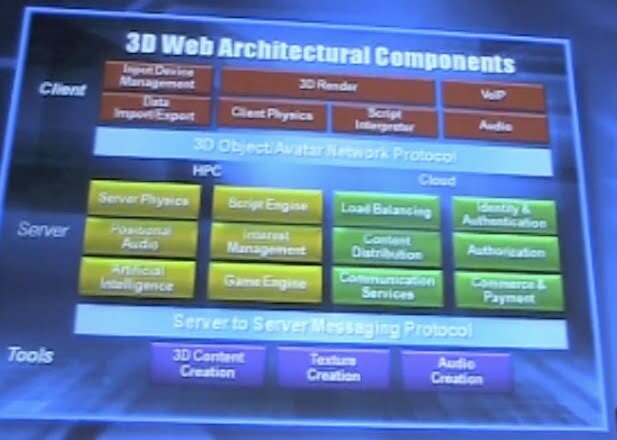 The "killer app" for supercomputers is the 3D Web, according to Intel Chief Technology Officer Justin Rattner, who gave the keynote address at Supercomputer 2009 this week. At SC 2009 (Nov. 14-20 in Portland, Ore.), nearly 9,000 computer scientists visited 318 booths exhibiting high-performance computing (HPC) solutions. "MEMS: Startup propels MEMS oscillators into mainstream"
Micro-electro-mechanical systems (MEMS) have so far been limited to low-precision applications, leaving the lion's share of the mass markets for the precise frequencies to temperature compensated quartz crystals. Now a startup claims to have cracked that nut with the world's first high-precision MEMS oscillators. 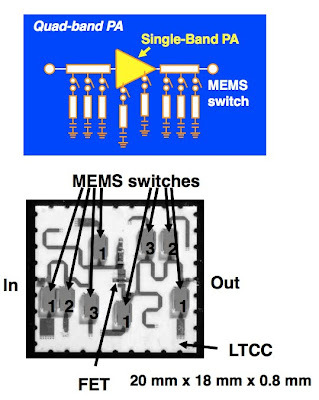 Look for mainstream applications to start adopting MEMS oscillators as early as next year. R.C.J. Micro-electro-mechanical systems (MEMS) have for the first time matched the performance of their high-end rivals, temperature compensated quartz crystals (TCXO), allowing them to compete in mainstream markets for 3G/4G handsets, GPS navigators and WiFi, according to startup Sand 9 Inc., which unveiled the new company today at the Precise Time and Time Interval Systems and Applications Meeting in Santa Ana Pueblo, N.M. Sand 9 spun off from Boston University to develop a novel MEMS oscillator structure into what has become the worlds' most precise silicon oscillator--capable of competing with the high-precision quartz crystal oscillators used by mainstream original equipment manufacturers in 3G/4G cell phones, global positioning systems (GPS), WiFi and other high-precision applications. "AlGORITHMS: Supercomputer market growth hinges on 3D Web"
Supercomputer market growth is dependent on extending into mass markets for 3D online applications, rather than continuing to depend on government handouts, according to this report. Look for supercomputers extending their reach into mass markets or continue to suffer slow growth. R.C.J. 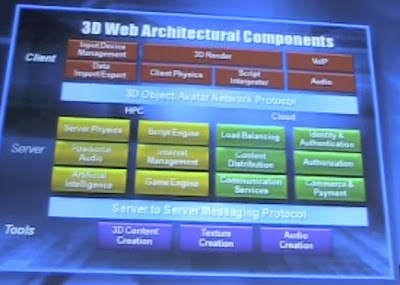 Supercomputer developers were issued a "call to action" to address the needs of the "3D Web" at the SC09 conference here. Keynote speaker Justin Rattner, chief technology officer at Intel Corp., said that high-performance computing (HPC) was currently only growing at rate of 3.8 percent per year, and needed to boost growth by addressing the needs of the 3D Web. What Rattner calls the 3D Web includes massive multiplayer role-playing games like World of Warcraft. But while virtual worlds are still growing markets, Rattner said that to invigorate supercomputing, it needs established revenue bases like the multi-trillion dollar fashion industry. "MEMS: IBM Lab-on-a-Chip Performs Instant Tests for Flu, Cancer, Poison, Toxins"
IBM technology will allow anyone to perform instant, inexpensive tests for medical conditions with just a pin prick of blood. Look for instant diagnostic kits for widespread maladies within two years. R.C.J. 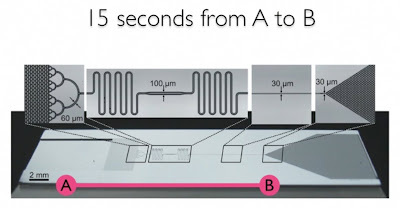 IBM Research has demonstrated a lab-on-a-chip technology that can perform instant point-of-care tests for avian flu, swine flu, breast cancer, prostate cancer, bacterial infections, poison, toxins and more—even whether you have just experienced a heart attack. Within two years, IBM claims its lab-on-a-chip technology could become as commonplace as off-the-shelf pregnancy tests, allowing anyone to perform instant, inexpensive tests for medical conditions that today take skilled personnel hours to perform. 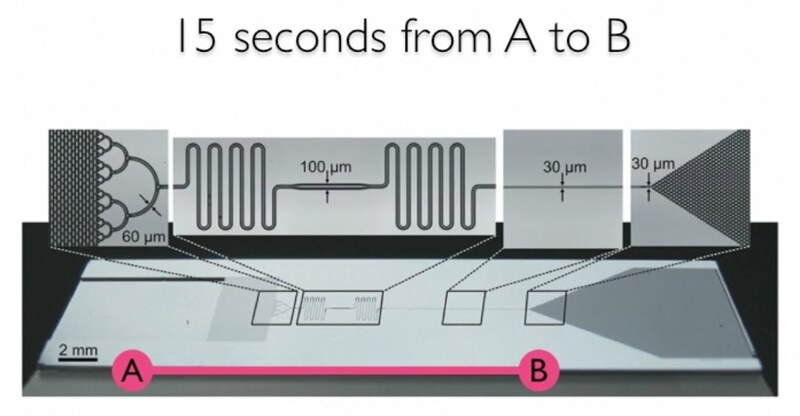 The IBM lab-on-a-chip test returns "yes" or "no" results from a pin prick of blood in just a few minutes. "ENERGY: Smarter Green Buildings to Include Eco-Positive Landscaping"
Green building certification pays scant attention to landscaping, but it should, according to the Sustainable Sites Initiative. Look for green landscaping efforts in your neighborhood in the coming years. R.C.J. Today, green building certification pays scant attention to landscaping, but it should, according to the Sustainable Sites Initiative, which has just released the world's first rating system for the design, construction and maintenance of sustainable landscapes (with or without buildings). The Leadership in Energy and Environmental Design (LEED) was created by the U.S. Green Building Council to provide a standard for environmentally sustainable buildings, but only gives a few points of credit for green landscaping. 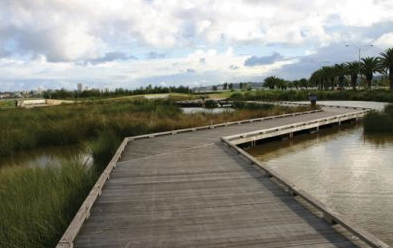 The Sustainable Sites Initiative plans to change that by incorporating state-of-the-art green landscaping principles into next version of LEED in 2012. "CHIPS: MRAMs go serial in smart meters"
Magnetic solid-state memories have been sought for over a decade for their nonvolatility and 20 year lifespans, but only recently have they become commercially successful. They are still 1000-times smaller than rivals like flash, but their combination of high-speed and longevity make them ideal for high-reliability applications. Look for MRAMs to be incorporated into applications like smart meters over the next few years. R.C.J. Serial magnetoresistive random-access memory (MRAM) could find wider use in the emerging smart meter market. Everspin Technologies Inc. (Chandler, Ariz.), the spinoff of Freescale Semiconductor Inc., said its new serial peripheral interface also could make its MRAMs popular in industrial control, automotive and printer applications. Other memory technologies, such as flash, EEPROM and FRAM, offer nonvolatility, but Everspin claims MRAM offers a higher degree of security due to its simpler programming method, which works like fast SRAM. Other nonvolatile memory technologies, Everspin claims, require extra steps to insure that data is not lost if power is interrupted during read/write cycles. 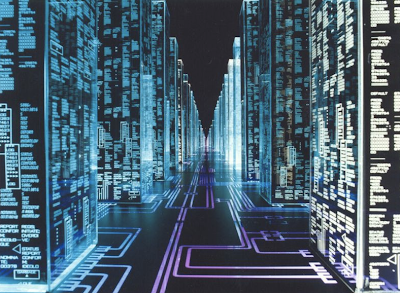 MRAMs are already used for critical program and data storage requirements in extreme environments. Everspin recently won a contract from Airbus to supply 4- and 16-Mbit MRAMs for the flight control computer on the next-generation Airbus A350. "ALGORITHMS: Smartphone E-Stadium Application Enhances Thrill of the Game"
Take your smartphone with you to the Purdue versus Michigan State game this weekend and watch instant replays in the palm of your hand. The e-Stadium application enables sports fans to not only view instant replays, but also play-by-play statistics and more on their smartphones at college football stadiums. Look for the eStadium application at a sports event you attend in the next three years. R.C.J. The eStadium application enables sports fans to view instant replays, play-by-play statistics and more on their smartphones at college football stadiums. 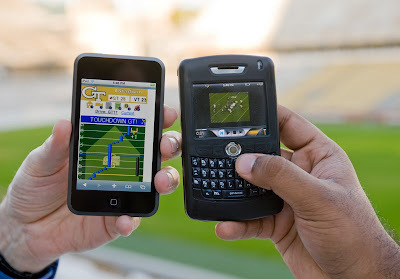 If you happen to be going to the Purdue college football game against Michigan State this Saturday, Nov. 14, at the Ross-Ade Stadium in West Laffayette, Ind., or the upcoming University of Georgia at Georgia Tech game on Thanksgiving weekend at the Bobby Dodd Stadium at Grant Field in Atlanta, be sure to take along your smartphone. Both those stadiums are supporting the e-Stadium application that allows audience members with smartphones to access instant replays, player statistics, play-by-play descriptions and graphical applications such as the "drive tracker" during game-day play. "MEMS: Japan's DoCoMo tries to simplify handsets with RF MEMS"
DoCoMo revealed its work on simplifying mobile handsets with micro-electro-mechanical systems (MEMS) at the recent MEMS Executive Congress. MEMS technology is critical to the success of future of wireless handsets, according to an executive with the wireless subsidiary of Japanese carrier NTT. In a presentation during the MEMS Executive Congress (Sonoma, Calif.), Shoichi Narahashi, an executive with DoCoMo Research Laboratories, made the case for using MEMS RF switches to simplify the bill-of-materials for future mobile handsets. Narahashi said a single, reconfigurable power amplifier chip could replace the four separate amplifier chips required today. DoCoMo showed its prototype design for a quad-band mobile handset that uses two sets of MEMS RF switches: one set to reconfigure a power amplifier to transmit at one of four different frequencies and another that switched in different filters to reconfigure the RF front-end to receive at one of four different frequencies. "MEMS: ST touts accuracy, stability of 3-axis MEMS gyro"
Gyroscopes will be the next big thing in smart sensors for video game controllers, smart phones and even you TV's remote control. Look for gyroscopes to be incorporated into devices alongside MEMS accelerometers starting in 2010. R.C.J. STMicroelectronics has expanded its MEMS gyro product line with an analog three-axis device that will compete against recent entries into the expanding market. ST (Geneva), which according to market researcher iSuppli is the top supplier of MEMS chips for consumer and mobile applications, claims its new gyro differs from competitors' in that its the first high-precision model. Its LYPR540AH gyro is said to combine fast response, high resolution and wide-ranging temperature stability for applications like gesture and motion recognition for smart phones, video game controllers and personal navigation systems. "ENERGY: Artificial Photosynthesis Offers Smarter Path to Renewable Energy"
MIT is working on a personal energy system that stores energy in liquid fuels during the day at their point of use, the way a plant does using photosynthesis, and then providing electricity to homes and hybrid cars when sunlight is not available. 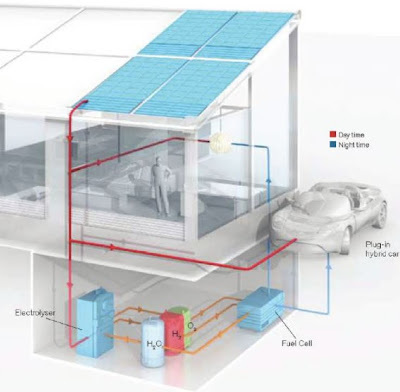 Look for artificial photosynthesis to be incorporated in to first adopters homes within five years. R.C.J. Photosynthesis-like technologies offer a sustainable future even as world populations grow by generating and storing the energy to run homes and cars on-site, according to the inventor of a new renewable personal energy system at the Massachusetts Institute of Technology. Personal energy (PE) is the goal of professor Daniel Nocera, director of both the Solar Revolutions Project and the Eni Solar Frontiers Center at MIT. According to Nocera, PE systems emulate the way a plant transforms solar energy into a fuel that can be used at night and on cloudy days. PE aims to enable a renewable, sustainable future, even as the world's energy needs double by 2050. "WIRELESS: Brewmobile OS to debut on handsets in 2010"
The BrewMobile platform from Qualcomm will integrate a wide variety of third-party multimedia applications across a variety of mobile handsets. Look for BrewMobile OS handsets to be introduced preloaded with a full set of third-part apps in 2010. R.C.J. 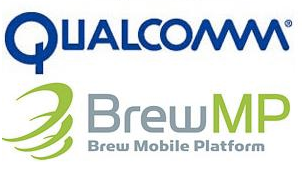 Qualcomm today announced that key mobile software providers are currently optimizing applications of its next-generation Brew Mobile Platform (Brew MP) operating system that the company claims streamlines commercializing apps across a variey of new devices. Key software features include a Java virtual machine, browser, multimedia access, instant messaging, calendar and smart-assistance apps pre-integrated. Brew MP developers are already distributing applications to mobile device manufacturers so that they will be available next year when the first devices using the new OS begin to appear. "WIRELESS: Gigahertz smartphone chips set debuts from Qualcomm"
The gigahertz barrier has been broken by Qualcomm's new flagship chipset for next generation smartbooks. 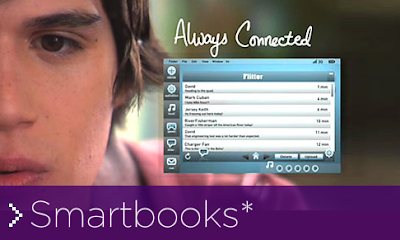 Look for a new wave of even smarter smartbooks in 2010. R.C.J. Qualcomm today announced a new smartphone chipset family that breaks the gigahertz barrier--its MSM7x30 family which features multimedia high-definition video recordin at 720p HD and 30 frames per second, 2D + 3D graphics, Dolby 5.1 surround, sound, 12-megapixel camera, integrated GPS for location-based service, support for multiple mobile operating systems, including Android, Windows Mobile, Brew Mobile Platform and Symbian. Smartbooks based on the MSM7x30 chipset are expected to launch commercially before the end of 2010. "WIRELESS: Qualcomm chip set supports both 3G & 4G LTE"
Qualcomm has announced what it claims to be the first chip set to support both 3G and future 4G networks. Look for handsets incorporting the next gen chips in 2010. R.C.J. Qualcomm has announced the world's first chip set to support both 3G and 4G standards by incorporating dual-carrier HSPA+ and multi-mode 3G/4G Long Term Evolution (LTE) standards into its MDM9200. According to Qualcomm, dual-carrier HSPA+ and LTE deliver more advanced data capabilities to mobile devices that a wide variety of network operators, infrastructure vendors and mobile device manufacturers are planning to deploy worldwide, with multiple field trials scheduled for the first half of next year, with ommercial launches of end-user devices during the second half of 2010. 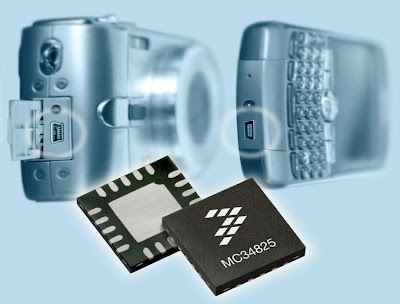 Connector clutter was cut down by a new Freescale chip that consolidates data, voice and power onto a single mini-USB connector. Look for fewer connectors on consumer handheld devices starting in 2010. R.C.J. As mobile handsets, media players and pocket cameras continue to shrink in size while simultaneously increasing their features, design engineers are having a difficult time finding space for connectors required for data transfers, batter charging, earplugs or microphones. Freescale Semiconductor Inc. (Austin, Texas) claims to have solved the problem by multiplexing these functions onto a single USB connector. Previously, USB connectors at three different sizes could not be serviced by a single, standard chip. 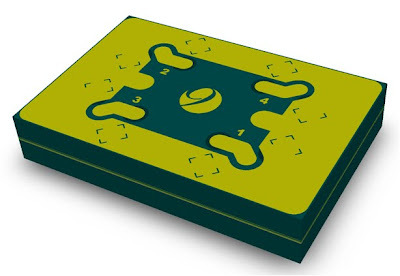 After designing custom chips for OEMs that enable multiple uses of USB connectors, Freescale began offering a standard chip to customers who can't afford a custom chip, and who must today cobble together multiple components. "MEMS: Omron boosts MEMS medical sensor production"
Omron announced at the at the MEMS Executive Congress that it will begin supplying its award winning micro-electro-mechanical system (MEMS) pressure sensor to outside original equipment manufacturers. 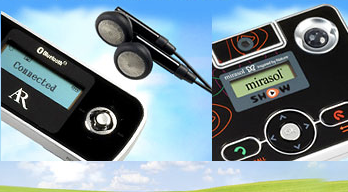 Look for consumer and industrial devices based on Omron's pressure sensor starting in 2010. R.C.J. 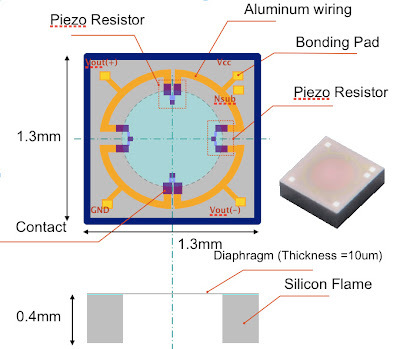 Omron Electronic Components has begun manufacturing a piezo-resistive MEMS chip for blood pressure monitoring with five times more pressure sensor dies on each 8-inch wafer. Yoshio Sekiguchi, senior general manager of Omron's Micro Devices Division (Schaumburg, Ill.) said the company will release excess capacity on its new 8-inch wafer line in Japan to make its piezo-resistive pressure sensors. Omron began manufacturing capacitive MEMS sensors used in its blood pressure monitors in 1996. Its new MEMS pressure sensor is not only manufactured on bigger wafers, but also has a smaller die size, When offered to OEMs in 2010, the new pressure sensor will be integrated into a wider variety of applications beyond medical, including leak detection, industrial controls, environmental controls, pressure indicators and for home appliances such as vacuum cleaners. "MEMS: BioMEMS to cure cancer, enable manned Mars flights"
Speaking at the MEMS Executive Congress (Nov. 4-6, 2009, Sonoma, Calif.), Mauro Ferrari described silicon as the miracle medical material that he predicts will eventually cure cancer. Look for Ferrari's new company to start delivering MEMS medical implants within five years. R.C.J. Widely considered the father of bioMEMS, Professor Mauro Ferrari has founded a company to commercialize MEMS-based medical solutions and possible space applications. NanoMedical Systems Inc. (Austin, Texas), will target medical applications that have fallen short using conventional technologies. Ferrari will run the company with former Sematech director Randy Goodall. Based on the budding field of microfluidics, whereby tiny channels and reservoirs dispense drugs as well as test biological samples using small amounts of reagents, Ferrari's use of silicon bioMEMS also could someday enable manned flights to Mars and cure cancer. "MATERIALS: Dipstick Offers Smarter Detection of Pesticides in Foods"
A litmus-like paper "dipstick" simple enough for anyone to use changes colors if there is the presence of pesticides. Look for home-use pesticide testing kits within three years. R.C.J. Consumers could soon be able to test their own foods for the presence of pesticides with a simple litmus-like paper "dipstick" that you merely dip into the food and watch for a distinctive color change in less than 5 minutes. Detecting pesticides in foods today is a complicated process involving sophisticated test equipment that can take hours to detect and measure the amount of contamination. 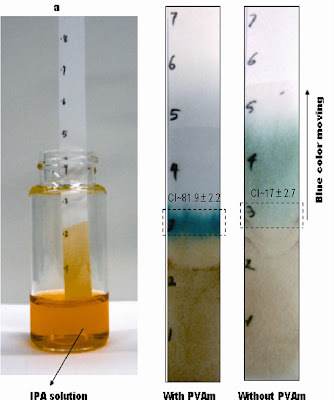 Now a new paper test strip method has been developed that permits consumers to test their own foods for contamination by common pesticides, according to professor John Brennan, who developed the new test method with colleagues in the Department of Chemistry and Chemical Biology at McMaster University (Hamilton, Ontario). "ALGORITHMS: 3D in-Air Mice Proliferating into Open Source"
OEMs can create their own 3D in-air controllers based on Freespace technology using an open-source software library called "libfreespace" which was announced at the MEMS Executive Congress. Look for new smarter 3D controllers from all the video game makers and for TV remote controls next year. R.C.J. Smarter 3D in-air mice are the forte of Hillcrest Labs, which made its name in motion control technology by creating software for original equipment manufacturers (OEMs). Now the company has its own 3D controller—called the Loop—available directly to consumers, as well as open-source software for Windows, Mac OS and Linux. 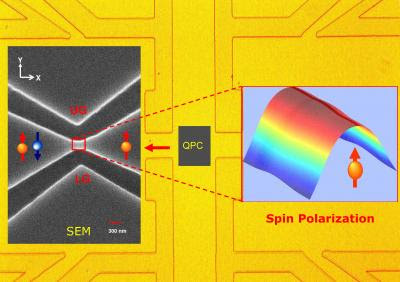 "QUANTUM: Spintronics Breakthrough Harnesses Quantum Mechanics"
It's all in the spin: Researchers find the holy grail of spintronics, which will enable the whole semiconductor industry to transfer to a new paradigm. 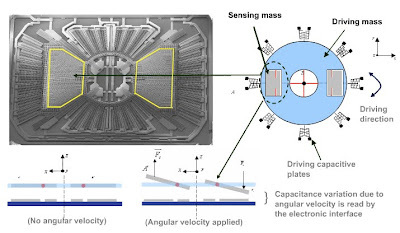 Look for spintronics device to begin appearing in commercial products within seven years. R.C.J. Smarter electronic circuitry will, in the future, store information on the spin of an electron—up or down—rather than on the number of electrons stored, thereby saving energy, generating less heat and operating at higher speeds. Now University of Cincinnati researchers claim to have found spintronics' "holy grail"—electrical control of spin. Today electronic devices store information—logical 1s and 0s—by charging up a storage component, such as a capacitor or a floating gate. Electronic charge accumulates in the storage device, raising its voltage until it rises from a 0 to a 1 (in a 5-volt system a 1 is encoded as 2.7 volts or above, and anything below 2.4 volts is a 0). 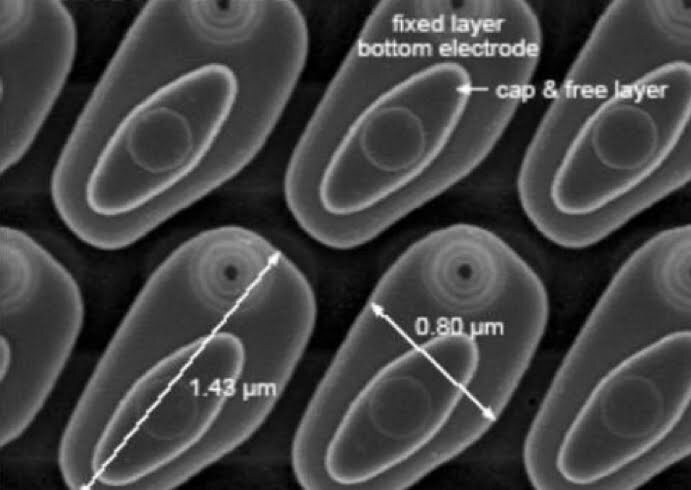 Instead of storing electrical charge to encode a logical 1, as opposed to 0 (no charge), future spintronics devices will instead encode 1s and 0s as either the up or down spin of individual electrons. "HEALTH: Employers' Health IT Websites Lower Medical Costs"
Websites such as Dash for Health offer low-cost online resources that encourage healthful lifestyles with voluntary behavior modification, as well as offering personalized nutrition and exercise advice, and detailed progress reports. Look to see if your employer already has a healthy lifestyle support site, and if not then ask them to start one! R.C.J. Employers nationwide are lowering health insurance benefits to cut premium costs, but why not instead harness health IT with an online diet and exercise program to persuade your employees to lead more healthy lifestyles? Can such employer-sponsored online behavior modification programs really cut health care costs? To answer the question of whether employer-sponsored online health IT can lower the health-benefit costs to employers, Boston University researchers designed the "Dash for Health" program—an online nutrition and exercise behavior-modification program. Smarter alternatives like Dash for Health offer low-cost online resources that can encourage healthful lifestyles with voluntary behavior modification—basically Websites that encourage exercise, proper diet and preventative measures like regular checkups and adherence to treatment regimes. "ROBOTICS: Robo-Fish to Perform Smarter Water Monitoring"
Robotic fish will use electro-active-polymer fins to gather precise data on aquatic conditions and habitats, in hopes of gaining answers about the effects of climate change and other outside forces on our freshwater ecosystems. Look for widespread use of robotic fish for civilian and military applications within five years. R.C.J. Robo-fish will soon be flexing their electro-active-polymer fins to perform critical environmental monitoring that safeguards our lakes, aqua farms and reservoirs. 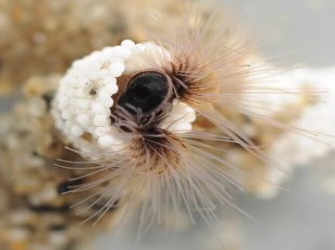 "MATERIALS: Surgical Adhesive Offers Smarter Way to Mend Bones"
Sandcastle worms are the key to finding a glue that can replace pins and screws for repairing broken bones by working in a wet environment. Look for surgical adhesives to replace metal fasteners over the next five years. R.C.J. Traditional methods of using pins and screws to mend broken bones is as outdated as those bolts protruding from the neck of Frankenstein's monster. The smarter way to mend bones is to mimic the natural glues used by sea creatures because they are stronger than Superglue, but also work in the wet environment inside the body. "ALGORITHMS: MIT develops AI-based 'driving buddy'"
Backseat drivers, sans the nagging, may be moving up front to the dashboard, that is is the Massachusetts Institute of Technology gets its way with Aida--an artificial intelligence that learns your habits then offers helpful advise. Look for dashboard-buddies to start appearing in VWs and Audi's within seven years. R.C.J. MIT researchers are collaborating with Volkswagen and Audi to develop an AI-based "driving buddy" that could help motorists avoid traffic jams or remind them to fill an empty gas tank. By observing a driver's habits, the artificial intelligence tool called AIDA (Affective Intelligent Driving Agent) learns routines and how best to assist with navigation and maintenance. 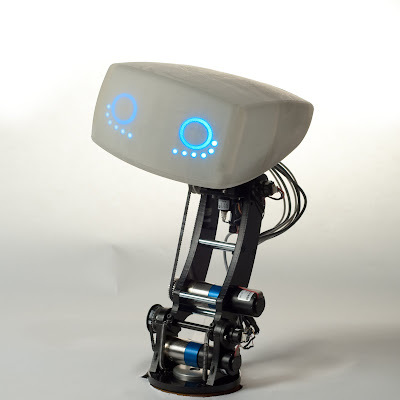 AIDA is being developed by Audi and the Volkswagen Group of America's Electronics Research Lab in collaboration with MIT's Personal Robots Group along with its Media Lab and SENSEable City Lab.